Digital transformation is reinventing business and as we know every enterprise including yours now, faces a choice between innovation and extinction. Digital transformation is not specifically about IT or technology it's about redefining your entire business strategy. Perhaps, even changing your corporate culture. To become successful in your digital marketing campaign, your company should think of technology not just as a support function but as a strategic competency. 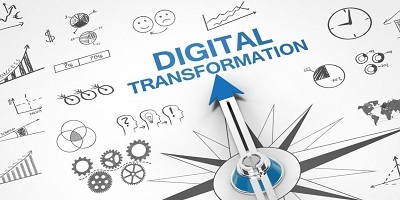 Digital transformation is not just about applying technology to your business but it's actually about creating entirely new business models on the backbone of technology. Amazon was not just a shop with a website, it forever disrupted and revolutionized the entire concept of shopping and much more. It's now imperative for every business to adopt you and take advantage of the ways the digital world has radically changed consumer behavior and expectations. Your customers, your channels, and your competitors have already gone digital. 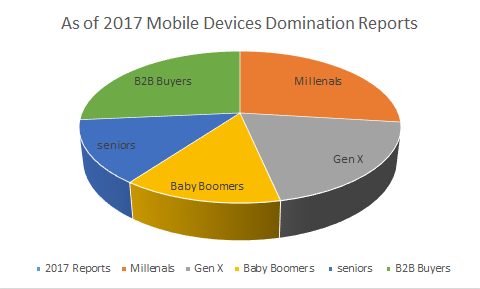 As of 2017 mobile devices dominate total minutes spent online searching, reading email browsing, and buy that's global. 56% of Gen X, 41% of Baby Boomers and 28% of seniors prefer to shop online rather than in-store and it's not just for retail consumers. 55% of B2B buyers say they search for product or vendor information on social media and according to a 2017 cloud carry study, 55% of B2B buyers expect mobile access to a seller’s E-commerce platform. Even your own products, employees and business operations are already dependent on digital technology. 1. Technology is evolving at an exponential rate. 2. Data is far more plentiful and usable. Mastering emerging technology has always made the difference between companies being competitive or barely keeping up. What makes today's digital transformation different, is the extreme importance of data, not just big batches of data but real-time data. Data about your consumer’s, data about your competitors, data about your supply chain, data about your markets. Having this data and knowing how to use it pulls your critical business decisions out of the shadow of opinion or guesswork and brings intelligent options into the light instantly. So that your business can do new things and do things correctly. The digital transformation has the potential to level the playing field it provides low-cost tools and enables strategies that give small and medium-sized businesses a fighting chance to compete at the same level as major enterprises. Successful companies that have disrupted an entire industry often did so by changing business models and processes in ways that vastly improve the customer experience and data is what makes these new models possible. Digital transformation depends on data and data depends on effective collection, cybersecurity, analytics, and application. Staying up-to-date with latest digital marketing and technology trends enables you to get your data, protect your data, analyze your data and then utilize your data. These are the essentials of a digital transformation and these are the essential skills that your company will either have to outsource hire or train an upscale from the insights. According to a 20-17 report, 74% of business executives say, their company has a digital strategy, but only 15% believe that their company has the skills and capabilities to execute on that strategy. It even changes the roles and skills you need to fill in order to bridge the gaps between your company and the technologies you need to master.